Take command. 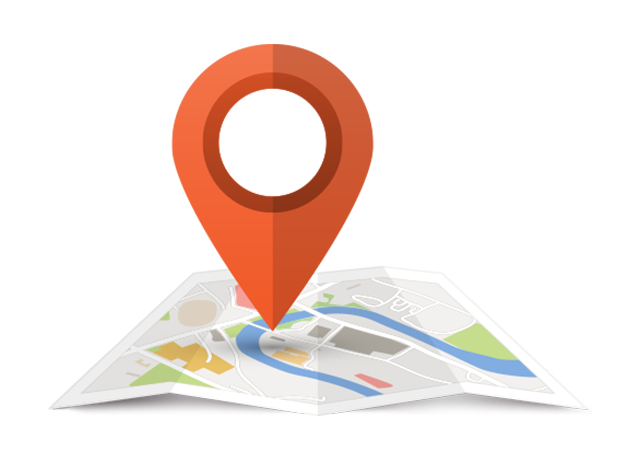 Find your store. 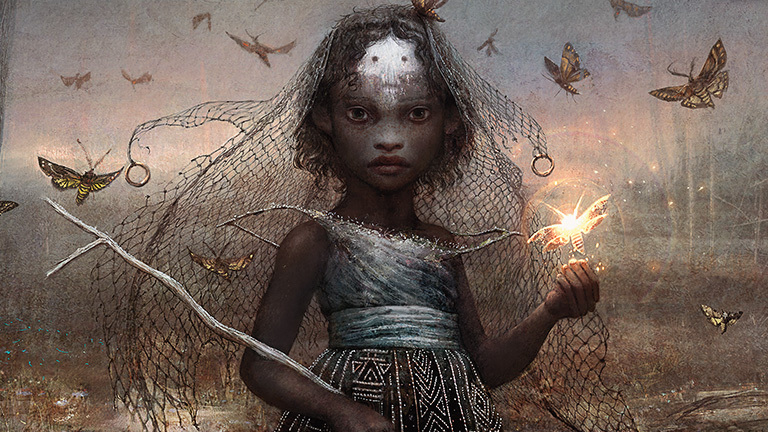 Saheeli Rai blends artistry and engineering with seamless ease, crafting beautiful artifact creatures from iridescent metals. She has the uncanny ability to craft a lifelike replica of any creature or construct she sees. 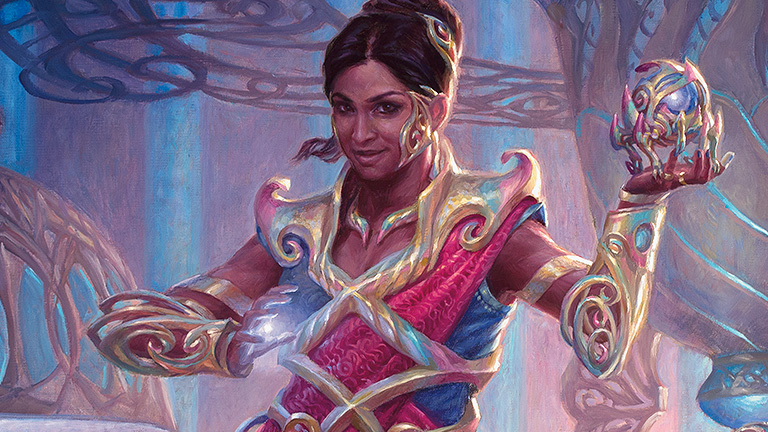 Her talents have won her renown across her home plane of Kaladesh–admirers, collectors, and investors alike flock to see her designs. 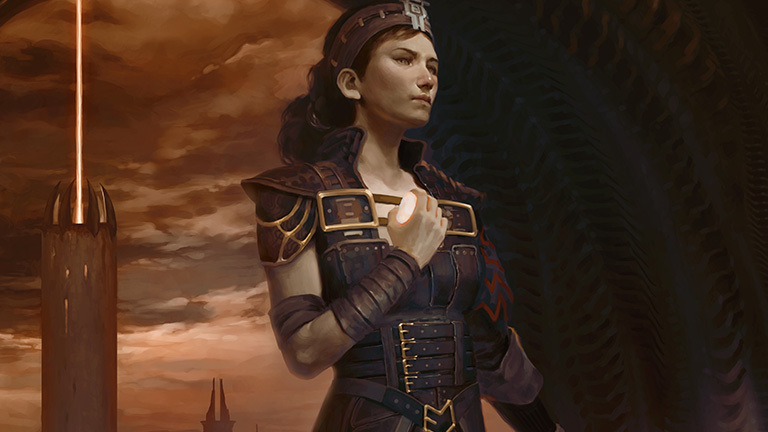 Saheeli has a bright, optimistic personality, and she loves facing off against other inventors in contests and tournaments. 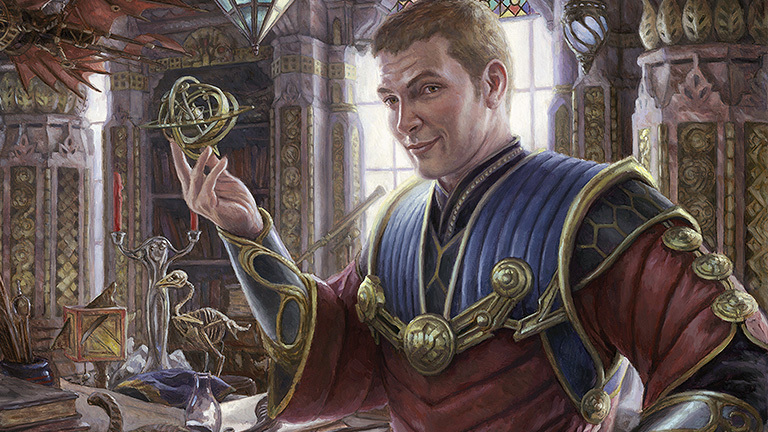 Long ago, during the Antiquities War on Dominaria, Tawnos impressed the artificer Urza enough to become his apprentice. 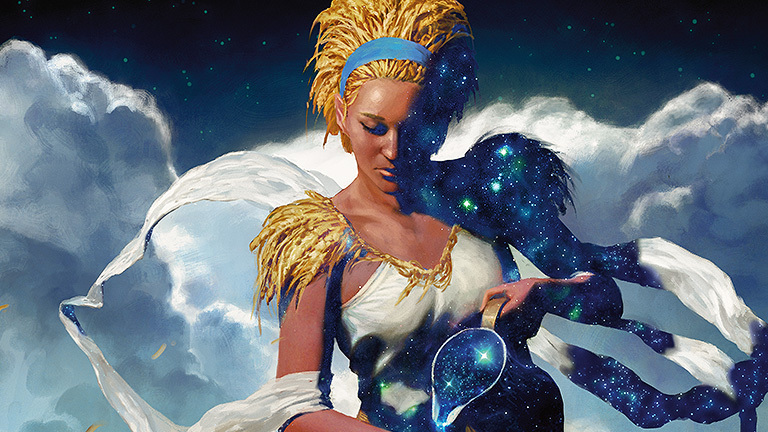 Tawnos's inventions often drew inspiration from nature, a method Urza would employ for many centuries afterward. Tawnos survived the cataclysmic end of the war in a "coffin" designed to hold him safely in stasis. 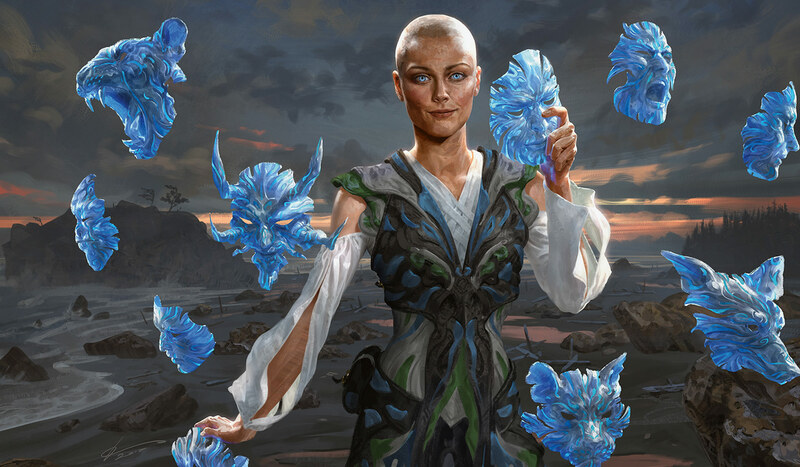 Varchild was a rogue Kjeldoran general on Dominaria during the Ice Age. 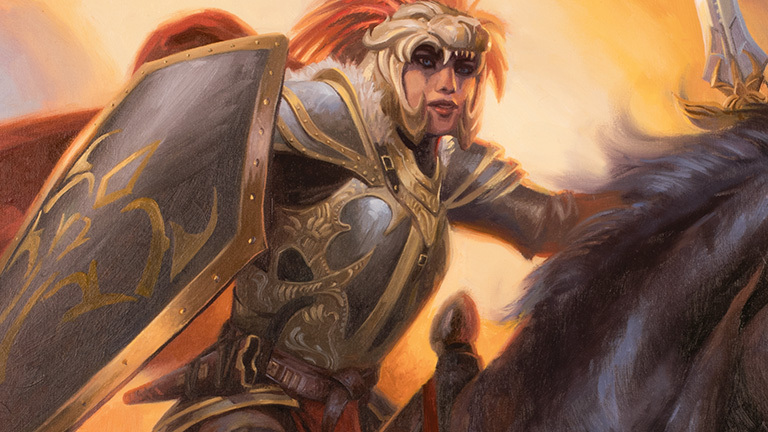 Rather than accept the peace between Kjeldor's king, Darien, and the Balduvian chieftain, Lovisa Coldeyes, Varchild embarked on a campaign of terror against Balduvia. The two nations took the field together to stop her, eventually merging into the dynastic union of New Argive. 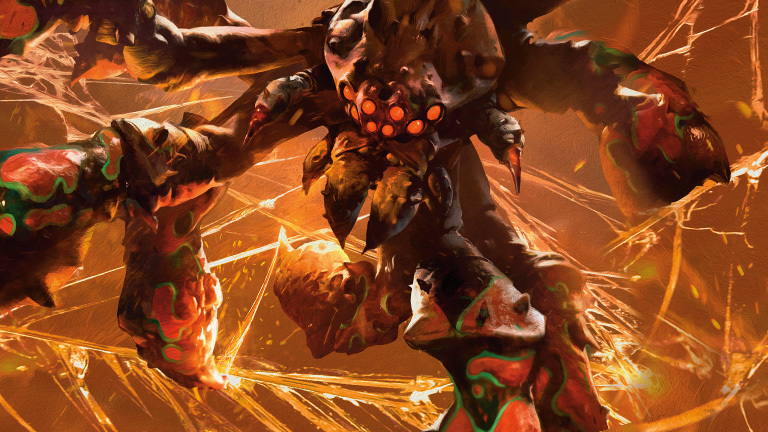 Brudiclad is known only from the bizarre rifts in time that plagued Dominaria before the Mending. In one possible future, Brudiclad exists as an engineer who melds flesh and metal in glorious harmony. Though she is only eight years old, Aminatou possesses the knowledge of lifetimes and a supernatural attunement to the tapestry of fate. She can foresee the branching consequences of the smallest actions, twist destiny with barely a thought, and perhaps even unmake the Multiverse itself. Fortunately, though she has the curiosity and caprice of a child, she usually limits herself to minor manipulations of fate in service of her whims and desires. 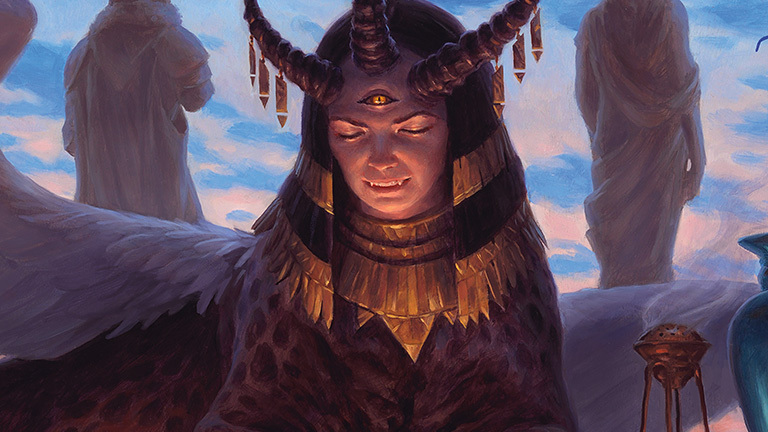 Most sphinxes live in solitude, keeping their esoteric wisdom and arcane insights to themselves–Yennett is not most sphinxes. Knowledge is power, she believes, and she has used that power to become a queen. Her magic snatches moments from the future and pulls them into the present. Varina's necromantic magic has preserved her semblance of life for countless centuries and made the passage of time meaningless to her. She can peer into a range of unfulfilled futures and raise zombies from the shadows of these discarded realities. On the plane of Kamigawa, the identity of the Tiger's Shadow is a mystery, but the monstrous face of the mask she wears inspires hope among the weak and terror in the mighty. She wields secrets as a weapon to debase the powerful and brings aid to the oppressed and afflicted. 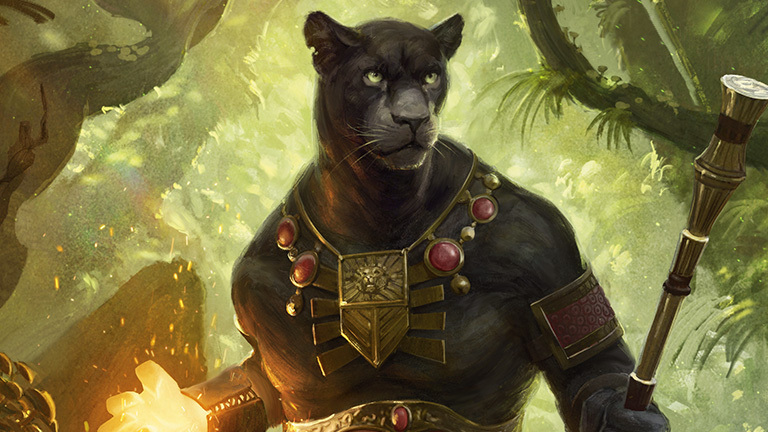 The panther warrior Lord Windgrace once helped Urza fight the Phyrexians on Dominaria. But he despises artifacts and the trouble that magical artificers can cause–emphatically including Urza, whose long-ago detonation of a cataclysmic magical device devastated Windgrace's people. Centuries after the Phyrexian Invasion, Windgrace gave up his Planeswalker spark to close a time rift above Urborg, his home. To this day, the Windgrace Acolytes purge Urborg of artifacts in his name. 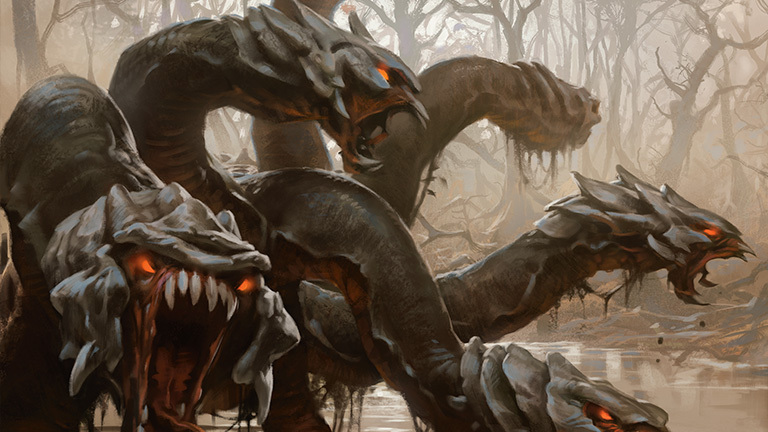 In the swamps of Jund, one of the reunited shards of Alara, the terrifying hydra Gyrus hunts–but not alone. Its heads dredge dead things from the murky water and animate them as shadows of their former selves. Zombified crocodiles, snakes, and other creatures serve Gyrus, bringing food to blunt the hydra's insatiable hunger. 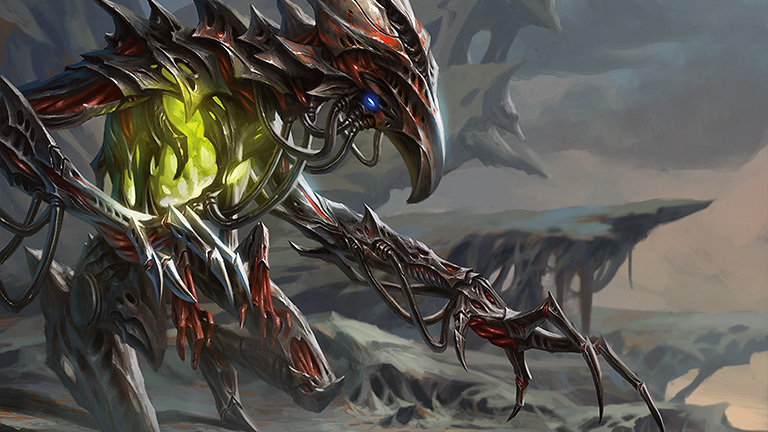 Xantcha was a Phyrexian created to live undetected among humans. 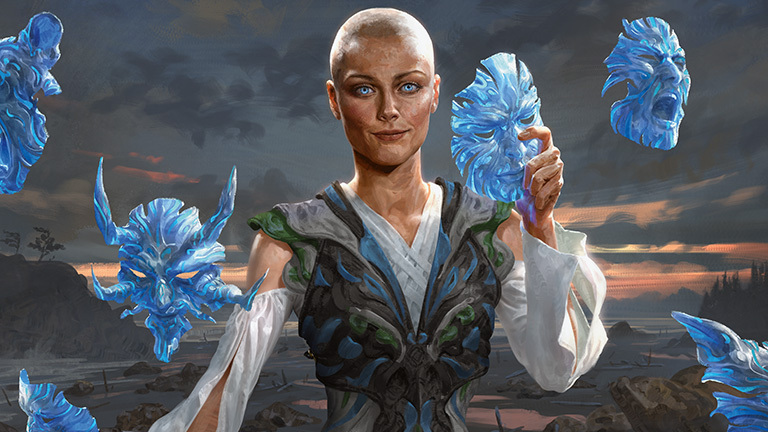 Corrupted by a trace of human compassion, she turned against Phyrexia and traveled with Urza for centuries, eventually sacrificing herself to aid him in his millennia-long battle against her creators. 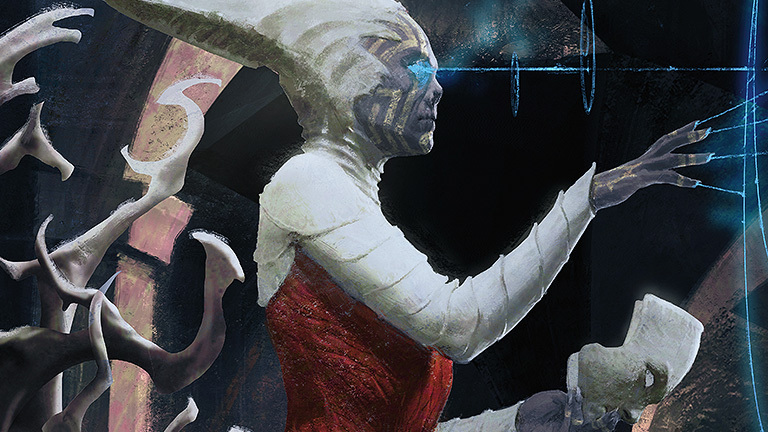 Her heartstone, the seat of her personhood, became part of the golem Karn. A monstrous web of burning mana spreads across a distant forest, inciting rage in every creature that stumbles into its tangle. As these creatures seethe and struggle, they become food for Thantis, a giant and malevolent spider. The fury of her prey feeds her own ferocity before she feasts on their corpses. 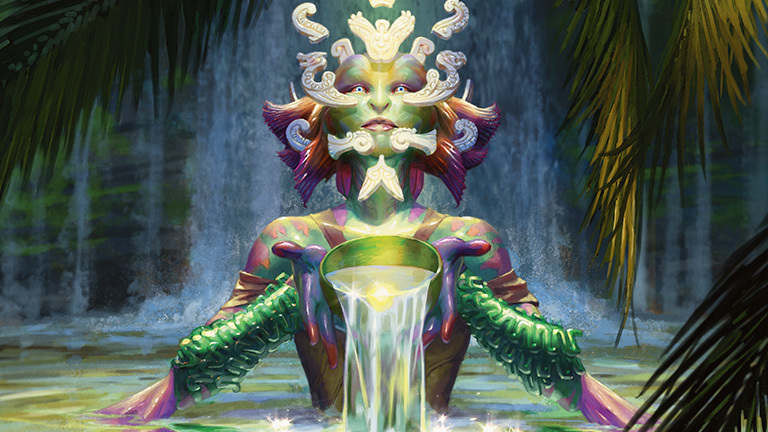 Amog the River Heralds of Ixalan, most shamans feel close affinity with the winds and waters, or with the verdant growth of the jungle. Tuvasa believes the light of the sun is the power that unites them both, giving life to plants and warming coastal waters. 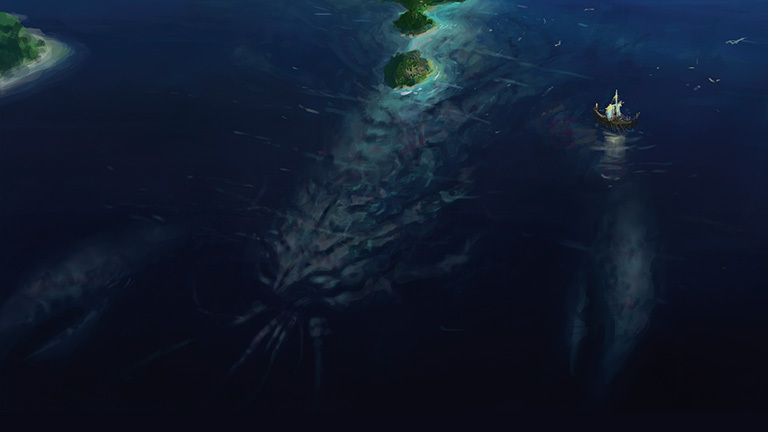 The kraken Arixmethes is so large that he is frequently mistaken for an island. While he slumbered, an entire city was built on his back. 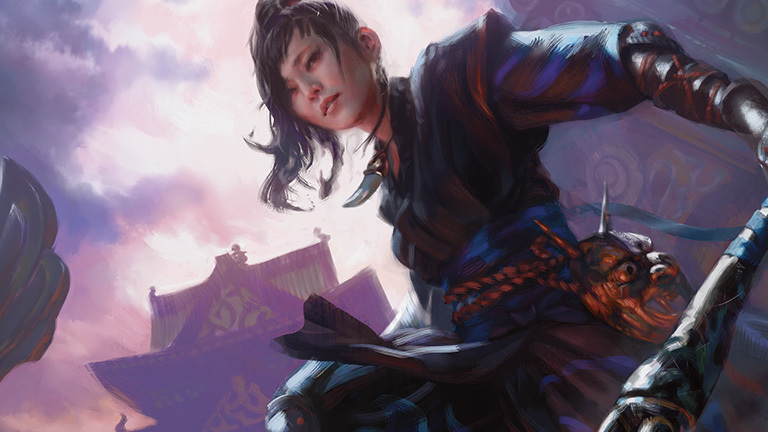 When he awakened–as the Planeswalker Kiora battled the sea god Thassa–he wrought destruction beyond any the hapless citizens of the "island" had ever known.